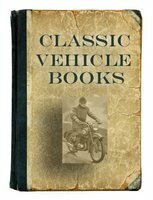 This selection of classic Australian bike books covers the history and development of the Australian motorcycle industry and noted Australian riders. Australian Motorcycle Heroes 1949-1989 by Don Cox & William Hagon (1989) covers the entire period of the world championship from the start in 1949 through to 1989. Riders covered include The Hintons, Ken Kavanagh, Keith Campbell, Bob Mitchell, Bob Brown, Tom Phillis, Jack Ahearn, Jack Findlay, Kel Carruthers, Barry Smith, John Dodds, Gregg Hansford and Wayne Gardner. Mick Doohan: Thunder From Down Under by Mat Oxley (1999). Mick Doohan is the greatest motorcycle racer of modern times, some would say, ever. The teak-tough Aussie has wrestled his 200mph Honda to more than 50 grand prix wins and five consecutive 500cc World Championships after fighting back from a near-crippling accident in 1992. His fearsome broadside riding style has captivated millions of fans worldwide and made him the sport's biggest-ever earner. Written with Doohan's input, this irreverent, fascinating, all-colour book charts his life, from wild boyhood to grand master. Covered are his youth spent biking on the local rubbish dump, living in a squat, riding borrowed bikes, and finding he was fast. After learning the skills that would make him world champion, Doohan signed with Marlboro Yamaha for the Aussie Superbike series. His rapid rise to GP winner, was followed by an agonizing comeback from a 1992 crash that nearly led surgeons to amputate his right leg. Australia's Motorcycling Heritage 1946-2003 by Jim Scaysbrook (2004). Over 50 Years of personalities, performances and products. From 1946 to 2003, this beautifully produced coffee table book documents the rich motorcycle heritage over three generations in Australia. Highside: Our Love Affair With The Motorcycle by Bruce Williams (2002) captures the passion that the Australian motorcyclists share for the motorcycle and where it takes them - body and soul. The book focuses on how riders use their bikes - as a work tool, for speed, for travel, or as a statement of who they are and where they belong. Motorcycle Grand Prix World: History, Heroes And Hopefuls 1989. Wide World Of Sport. Covers 1989 Grand Prix in Australia. Much on Australians in motocycle racing.